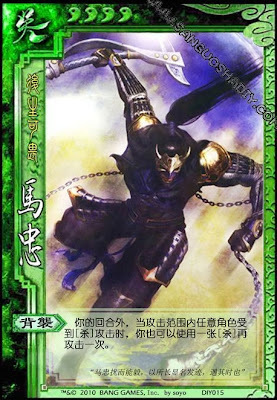 Outside of his turn, whenever any player within his attacking range is attacked, Ma Zhong can attack that player again. Ma Zhong attacks after all effects of the first attack have subsided. It does not matter if the initial attack was hit or not. Ma Zhong can attack them again regardless.